FuturisTrendcast Celebrates First 1 Million+ Visitors! NEWS, FREEBIES, PERKS! 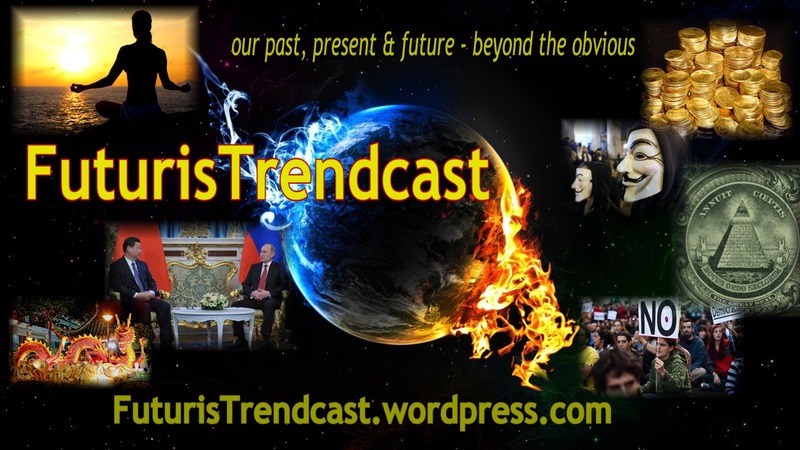 FuturisTrendcast was born in the end of 2013, when the situation in Ukraine began heating up, but Lada Ray truly got immersed in writing for the blog in February 2014. The initial goal was to expose and tell the truth about what was really happening in Ukraine, Donbass and Crimea, and to counter the Russophobic lies of Western MSM and politicians. But FuturisTrendcast continued to expand, and eventually it became a portal revealing our past, present & future — beyond the obvious. Lada’s ultimate mission is to spread the knowledge of the Multi-Dimensional Universe, including The Earth Shift & Russia The Great Balancer theory, Quantum & Geo Calibrations, Forbidden History and much more. Lada’s goal is to teach the practical application of these theories to everyone who wants to expand their mind and awaken, to all those who want to be the best spiritual and multi-dimensional version of themselves. Lada’s audience are those people who want to look into the future with confidence and deep understanding of the processes that form and shift our world. As a result, Lada’s students become the contemporary Vedics, those who possess true knowledge of the Universe, Mother Earth, humanity and themselves. This Lada Ray’s mission will continue being promoted through the FuturisTrendcast Blog, as well as through LadaRay.com, including Webinars and Earth Shift Report, and through LadaRay YT channel. That said, we are just warming up! Many more revelations and opportunities to participate are coming up, dear readers! Read on to see what’s being planned! In February 2014 FuturisTrendcast counted 10 subscribers and 2,000 visits to the blog. In March 2014, as the word got out, the blog subscription and visitation began to explode. A few days ago FuturisTrendcast cleared the 1 million visitor mark! As of this writing, on the morning of October 5 2017, we have over 1,006,000 visitors (see WP’s automated blog visits counter located on the right-hand side navigation bar, under: BLOG STATS SINCE 2014). All-time comments approved (before this post): 10,196 (as you know, comment section is moderated and it closes 30 days after each article’s appearance). So far, this week’s (incl. Mond-early Thursd) top country visits have been from (in descending order): Australia, USA, Canada, UK, Netherlands, Sweden, Italy, Singapore, Germany, Russia, Czech Republic, Peru, India, Croatia, Slovenia and Japan. All time (Jan 2014-Oct 5 2017) top country visits have been from (in descending order): USA (327,773 visits! ), Australia (117,278 visits), Canada, UK, Netherlands, Germany, Sweden, Russia, France, Italy, New Zealand, Malaysia, Brazil, Slovenia, Belgium, Norway, S. Africa. This is fascinating to know, in my opinion! In the period from 2014 to 2017 visits to the blog came from all countries on our planet, except the following few countries located in Africa: Western Sahara, Mauritania, Chad, Central African Republic, and it appears, also not from the split up part of Sudan, aka, southern Sudan, which isn’t recognized internationally, but is for some reason marked on WordPress map (meanwhile, Pridnestrovie, Crimea, S. Ossetia and Donbass aren’t marked as separate countries — interesting, isn’t it?). We want to thank you all for your wonderful continued support and warm encouragement! We appreciate all of you very much, and because of that we have decided to celebrate our first 1 million visitor milestone by offering you some exclusive freebies and gifts. These freebies and gifts will be available only to FuturisTrendcast subscribers during Holiday Season 2017-18. In addition to exclusive freebies and gifts, we will be offering exclusive events, starting new and exciting programs, and we can’t wait to tell you all about them! ***Note, if you frequent FuturisTrendcast (FT) but have not subscribed, go to BLOG RULES to read up on how to become our follower/subscriber! 1. Throughout the Holiday Season 2017 I’ll be making some of the Earth Shift Reports FREE. As an FT subscriber, you’ll have exclusive access to these FREE reports. I’ll post FuturisTrendcast announcements which Earth Shift Reports and when will become free! 2. I also have a surprise! I’ve decided to make two of my novelette shorts GREEN DESERT and CATHARSIS, LEGEND OF THE LEMURIANS available FREE exclusively via LadaRay.com. These are presently sold exclusively on Amazon as ebooks. 3. I’ll also be making some of my existing and upcoming new Feng Shui and Spiritual Rituals available for FREE with a purchase of Lada Ray Consultations and Personal Reports. 4. Who knows, there may be a free spiritual ritual or message in YOUR FREEBIE GIFT BAG this Holiday Season as well! 5. ***I am also considering setting up a small focus group, which will be somewhat like Webinar 5 Q&A, but through a different provider. It will be free. I’ll talk some more about this idea soon — look for FT post in near future! All of these gifts will be coming to you during autumn-winter 2017-18. Stay tuned for announcements! Exclusive offer: this Holiday Season Lada will be offering you the signed collectors’ 1st edition paperbacks of THE EARTH SHIFTER, GOLD TRAIN & STEPFORD USA. Stay tuned for pre-order announcements soon! On November 7, 2017 we are marking the centennial of the Russian Revolution. The debates as to what really happened in 1917 and who was culpable, or who has to be credited, continue. Was the USSR a quintessential ‘evil empire’ or was it a bold and brave experiment into a higher consciousness and better future for humanity? Why did it go wrong, or did everything happen the way it should have? Why and how the USSR was turned into the ultimate boogeyman for the Western sheeple? Are the USSR and communism really gone, or will we see a rebirth on a new level? What are Lada Ray predictions? What does the new rise or Russia really mean? Who is really Vladimir Putin? Why is he so popular the world over? What is Russia’s destiny in the 21st century? Who really are all those people who today surround Putin, form the Russian government and power structures and what is their true role? Will Putin run for the next term and what will the outcome of Russian presidential elections 2018 be? My geopolitical, multidimensional and spiritual perspectives will be included. As usual, everything will be discussed MULTI-DIMENSIONALLY: from the Earth Shift, Russia The Great Balancer and Forbidden History perspectives. All this and much more will be addressed in a series of free and paid events, including FT posts, Lada Ray exclusive interviews and EARTH SHIFT WEBINARS. Throughout the rest of 2017, all of 2018 and 2019 we will be offering to general public several new series of EARTH SHIFT WEBINARS! We’ll begin recording these cutting-edge webinars soon. Please stay tuned for more announcements! We are considering offering Certification for all those who complete each series of EARTH SHIFT WEBINARS. There may be a simple test in the end. LADA IS CONSIDERING NEW SUBSCRIPTION VIA PATREON: LOTS OF PERKS & POTENTIAL! I am considering starting a new subscription program via Patreon, offering to patrons lots of additional perks and potential. I am very generous with my time and knowledge, as those who have purchased CONSULTATIONS, WEBINARS and Earth Shift Reports can attest. However, not all knowledge can be shared publicly, due to psychic and multidimensional attacks. My patrons will be able to obtain information I am unable to share with general public on FT and YouTube. This program will include exclusive weekly updates, revelations, videos and articles, patrons’ ability to ask questions, focus groups, Q&As, live chats, exclusive sneak peeks, discounts and one-of-a-kind offers. Sponsors and Patrons will be offered many options to suit all budgets, and receive exclusive, once-in-a-life-time rewards, one-on-one interviews and other treasures. This program will be offered soon! This is a separate topic: negative psychic and dark multidimensional attacks have been relentless. You will hear a similar feedback from others involved in cutting-edge multidimensional Earth Shift work. Some simply can’t cope and opt to drop out and hide out from reality. We have to spent a lot of time and energy for multidimensional prophylactics and constant protection upgrades. Perhaps one day I’ll share more of what is happening and what dimensions are implicated in trying to prevent me from sharing my message with you all. is now on sale! This is for all those who have been asking about our anti-chemtrail protection programs! This MP3 is a good start and it includes info-article, Q&A and instructions by Az. More programs for HAARP, EMF and Chembusting are coming! New LADA RAY CONSULTATIONS PAGE is almost ready. You are welcome to order available consultations (more links will be added soon!). Stay tuned, don’t go away, so much more coming your way! We are only warming up!